Is 35mm Film Worthwhile for Landscape Photography? 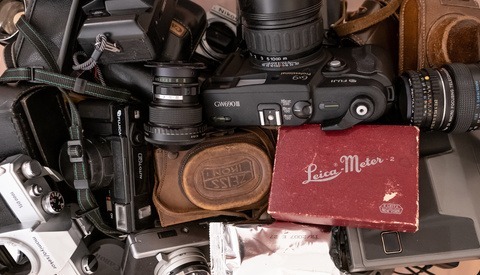 Film still has a loyal following, but many of those who use it shoot a hybrid of 35mm digital and medium or large format film. This great video examines whether the cheaper and more convenient 35mm film format is still worth shooting nowadays. 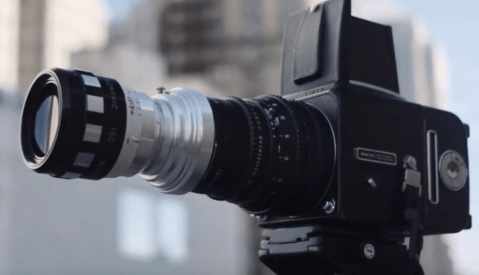 Coming to you from Steve O'Nions, this great video examines if it's worthwhile shooting 35mm film in landscape photography these days. You often see landscape photographers who still use film shooting on medium or large format cameras, both for the extra resolution and control (in the case of large format) that they provide, but doing so requires specialized equipment and a completely separate kit. The nice thing about 35mm is that depending on your gear, you can possibly spend maybe $30 on a camera and some film, then be off and running with the lenses you already own. 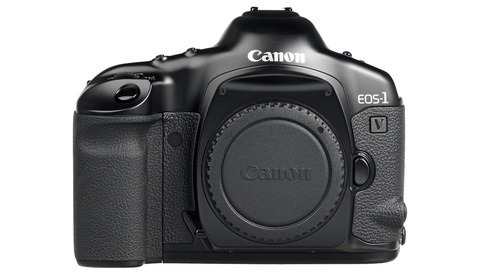 For example, Canon has a myriad of film cameras compatible with EF lenses. I bought an old Elan off eBay for about $15, and it had no problem autofocusing with my collection of lenses. And personally, no matter how good digital gets, I still absolutely adore shooting a roll of Velvia 50, especially now that fall is coming up and the leaves will be turning. It's also interesting to see just how large a print O'Nions is able to make from a 35mm negative. Check out the video above to see his process. "The nice thing about 35mm" is that you can still buy new cameras. I have my eye on a Nikon F6. I been able to find several lower Nikon models new on Ebay and it is great that I can use all my Nikon lenses on them. My latest find was a Nikon F601 new for $20. It will be interesting so see how the new Kodak film will be. KEH.com has the Nikon F6 but is still a bit pricey. I have many Nikons. The F5 i paid only $220 for. Good thing about KEH is that you can buy equipment via Affirm and make monthly payments. I shoot all landscapes in medium format though. Keep shooting and have fun. People who are used to the detail in modern digital cameras will be pretty disappointed with 35mm for landscapes, even with reversal film. I would at least shoot 6x4.5. 6x9 would be much better. Anything is perfectly fine and worthwhile as long as you have the appropriate preferences and expectations. It would have to be for a very distinctive subset of people. People complain about 16 megapixel Micro 4/3rds cameras like they're barely usable for landscapes, but they'll utterly trash 35mm color film for detail. I was going through my parents old slides from their 1974 trip to Banff on an old slide projector. The brilliance, color reproduction and clarify had my JAW on the FLOOR. The images look like they were shot yesterdays minus the fact my parents are younger than I am in the photo's, not to mention the clothes...oh the clothes. So IMHO yes, 35mm slide film is outstanding for landscapes if the what my dad's old 35mm Pratika and Pentacon lenses were able to produce. He was no pro, but he loved the craft and it shows. I'm a little bias however lol. If I ever decide to go back to 35mm film for landscapes, I'm getting a Hasselblad XPan. Back in the day, I lusted after it big time. So much so that I found an old Rolleiflex and a 35mm adapter and finagled the parts so I could shoot wide frames on 35mm film. It wasn't perfect, but it basically worked. No, I'm sorry it can't be done, that's why prior to digital you couldn't find a landscape image anywhere that wasn't shot on med. or large format. 8x10 kodachrome was a requirement for all National Geographic shooters in the old times! LOL I guess I should have added a smiley face for those people devoid of humor! Good video. It's subjective. It depends on the photographer and their style. It's not what it looks like bt how the photographer uses it. You are right sir. All photos and cameras used for making them are subjective. I mostly use medium format for landscapes, but that's just me.